It's cold. Eat soup. That is all. That's been my mantra since the weather turned cold in Charlotte (read: below 50 degrees). But seriously, we did get an ice storm this weekend. Well, we got a few ice particles that the local weather team called a "storm." Whether they overreacted or not, it's been cold, and you can't argue that. And it's not getting to 70 degrees until later this week. (Seriously, it's going to 70 later this week. This weather is bananas.) 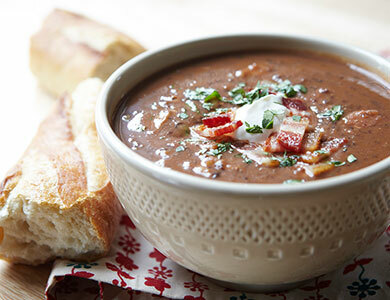 In the meantime, try some of these steaming hot soup recipes to warm your soul during the winter months. 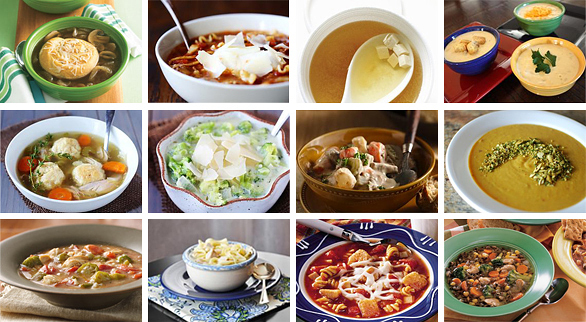 Check out THIS collection of 20 soups I wrote about for the General Mills site Tablespoon. And THIS collection of super simple soups I jotted down for Proctor and Gamble's Home Made Simple site. I'm super excited to come back this week and share photos of an adorable baby shower I did over the weekend! Have a wonderful day and stay warm! The weather has definitely been nuts on the East Coast for the last couple of weeks. Snow and ice here within the last week, with highs expected to be in the upper 60s expected tomorrow. Wish I’d thought about making some soup last week when it was so cold.